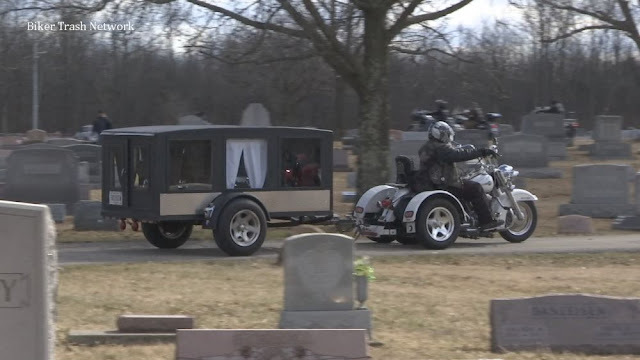 Hagen, Germany (April 14, 2019) BTN – Ministry of Interior sees no handle: Why the motorcycle club Freeway Rider's in Hagen may continue to show their colors, while the motorcycle club Bandidos may not. Will this step generally lead to de-escalation? Probably at the end of this week, the first trial in the Hagener Rocker war with the confession of a Hagener Bandidos will come to an end. The 31-year-old will then admit that he has shot on the Saarlandstraße on a car in which sat members of the enemy Freeway Riders - and then probably go for about three and a half years in custody. 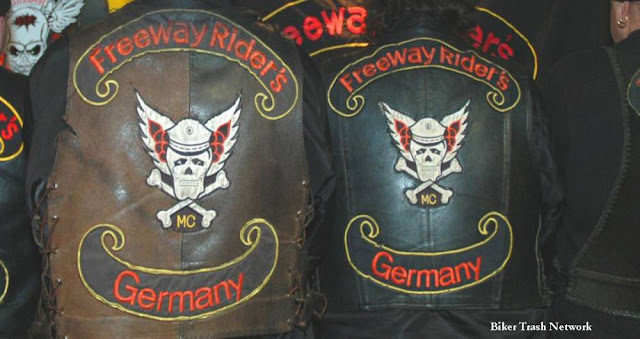 As can be heard from the environment of the Bandidos, the disputes with the Freeway Riders in Hagen with several sometimes bloody acts in public at the leading forces of the rocker grouping in Germany caused displeasure. Accordingly, it is likely for the Hagener Bandidos who try to gain a foothold here since 2016, give little support for further clashes. The official Bandidos spokesman left a request from the WP unanswered. Nevertheless: The Hagen investigators remain vigilant and want to continue consistently. They are pleased that there have been no serious clashes since the arrests and raids in the fall and winter against Bandidos and Freeway Riders. The self-proclaimed dissolution of the Hagener Bandidos-Chapters , however, is considered more tactical feint. In the Federal Constitutional Court And indeed, both groups remain present in the cityscape. The bandidos, however, not with the actual club emblem, the shooting Mexican, but with the letters "BMC". Why are not they allowed to show their club signs, but the freeway riders already ? "That's because the Freeway Riders has not yet banned a chapter based on club law," says Wolfgang Beus, spokesman for the NRW Interior Ministry. This was the case with the Bandidos: in Aachen. "And according to the law, showing the symbols for all chapters is forbidden if one is forbidden," said Beus. The Bochum lawyer Reinhard Peters, who also represents the Bandido in the district court Hagen in the current process, considers this legally untenable. He moved to the Federal Constitutional Court for a client: "Our constitutional complaint has also been accepted unusually quickly for consultation. I expect a decision later this year. "